This is Andrew. 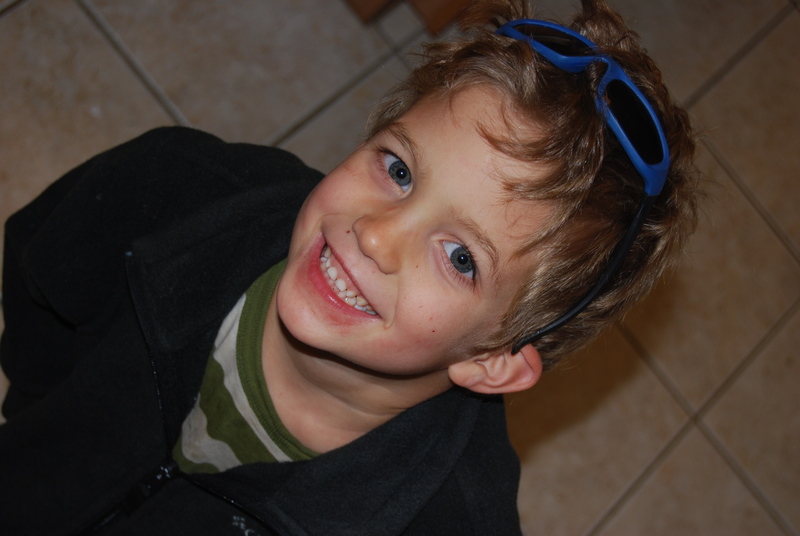 He’s 5. Andrew’s been waiting for his birthday since the beginning of the year. Four other people in our immediate family have already had birthdays since January 1st. Each one has been a mixture of celebration and angst. Andrew knows the date of his birth and where to find it on his calendar. He regularly counts the squares to determine how many more days he has to wait for the big day–still more than a month away. 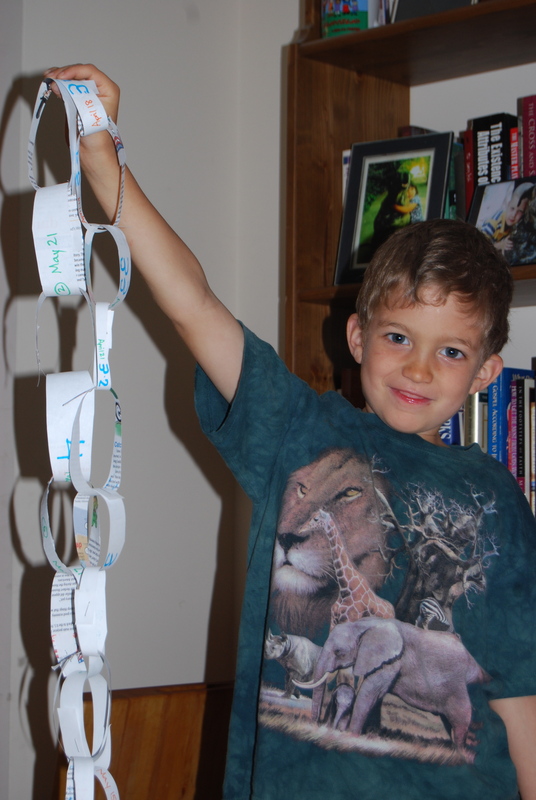 Yesterday I finally remembered an idea I’ve seen in a couple different places for counting down the days–a paper chain. Andrew was ready to get to work right away. I told him I’d get him colorful construction paper if he could just wait until after breakfast, but Andrew waits for no man or mom or breakfast. He is a go-getter who takes the bull by the horns. 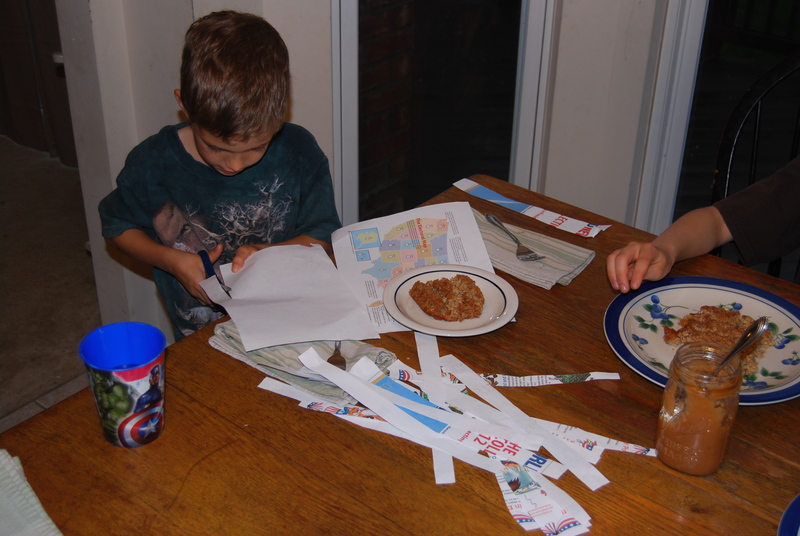 Mom’s pretty ideas of brightly colored paper carefully measured and cut with a paper cutter meant nothing to him. He knew where to find paper and he knew where to find scissors, and the job was begun. After breakfast (since I told him I’d help him finish the chain after he’d eaten! 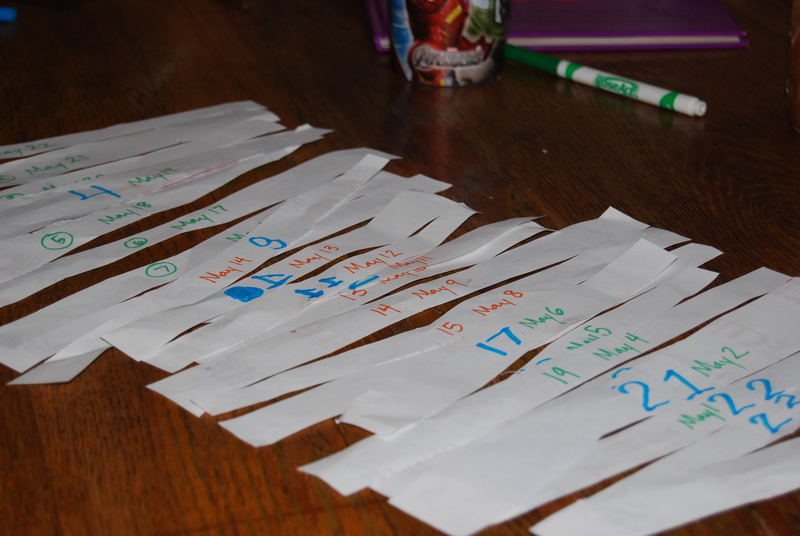 ), I started to number and date* the strips of paper. I made #1 the date of his birthday, so we’re counting backwards. Once I started, he wanted to do most of the numbering**, so I just added the date. We stapled (apparently I moved the tape so the kids wouldn’t use it up and can’t remember where I put it!) 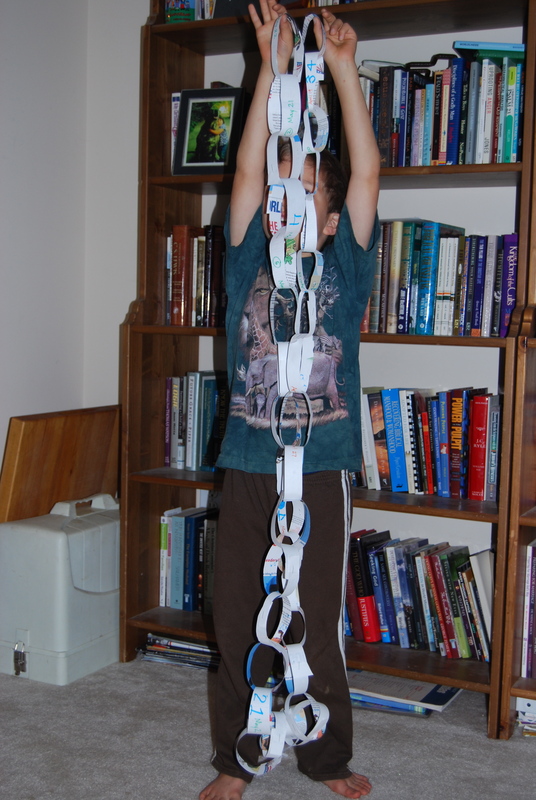 the strips to form a chain. We hung the birthday end from the curtain rod in his bedroom and looped the other end over his clothes hook. *Adding the date to a counting chain is certainly not necessary. Andrew likes to mark each day off on his calendar, so that lets him connect the two concepts. **If I had asked him to number the strips, he probably would have fallen apart. None of my boys have ever enjoyed the prospect of a large (any) writing project. Seeing me start it though, made him want to get in on the fun! Categories: Homeschool, Projects | Tags: birthday, calendar, counting chain, counting days, paper chain | Permalink.